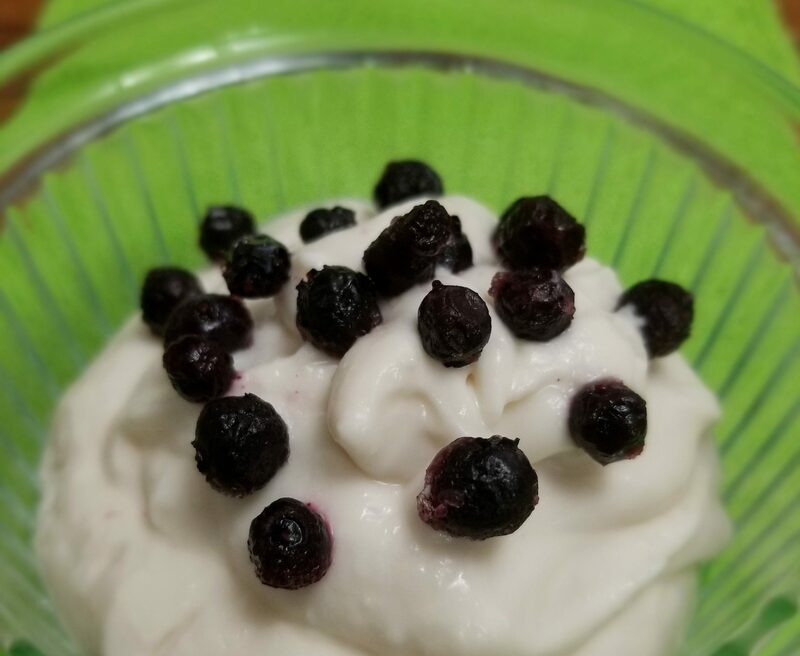 This wonderful Coconut Cream based L-Reuteri yogurt tastes great and will help keep your gut populated by beneficial bacteria (Probiotics). Since it’s dairy free, the dairy / lactose intolerent among us will have no issues there. 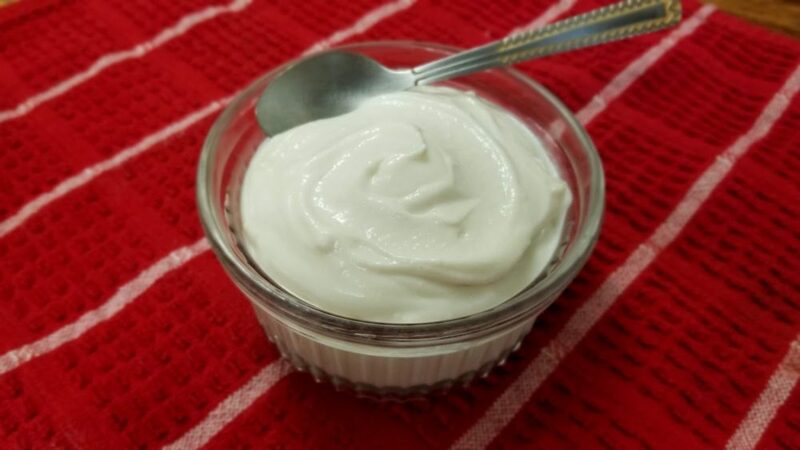 You will no doubt notice there are some unusual ingredients in this yogurt for a site that is generally very low-carb in nature. The sugar and potato starch (and inulin, actually) all serve as food for the bacteria. If you’ve successfully fermented this coconut, there will be little to no added carbohydrate remaining since the bacteria will have eaten it all up! Sterilize coconut cream by heating it gently to 180F / 82C. If you do this in the microwave, please take EXTREME CARE and go slowly by stirring every minute after about the first 4 minutes. When you break the surface with a spoon, GO SLOWLY and stir GENTLY until any localized boiling / bubbling ceases. While the average temperatue of the coconut cream may be well below the boiling point of water, localized hot spots can ruin your day. Please exercise caution. If your coconut cream isn’t in the vessel you’ll use for fermentation, transfer it now while it’s hot as this will sterilize your vessel. Allow to cool well under 100F / 38C. Otherwise, you’ll kill the bacteria you’re adding! Add in the remaining ingredients. If you’re using L-reuteri tablets, make sure you’ve crushed them first! Stir to break up chunks until you have a homogeneous mixture. LIGHTLY cover the container. A tight cover is an invitation to a minor disaster since the bacteria will be giving off carbon dioxide as they ferment your coconut cream. You do not want this gas to build pressure. L-Reuteri seems to ferment best above 100F / 38C – but DO NOT EXCEED 110F / 43C. You will KILL the bacteria. Please be aware that not all yogurt makers provide fine enough control of the temperature to ferment L-Reuteri. Some successfully use electric blankets. Some find the pilot light in their oven makes fine yogurt. We’ve found that an immersion circulator for a Sous Vide style process gives us consistent, controllable results. Fermentation takes many hours. We’ve been successfuly making L-Reuteri Coconut Yogurt at 106F for 30 hours.